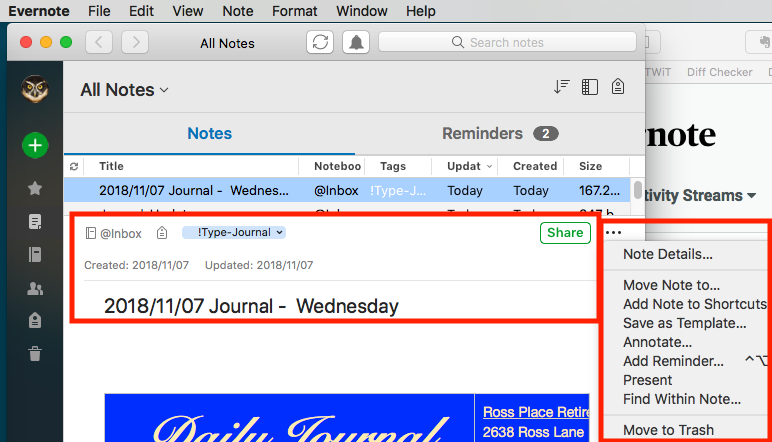 Evernote for Mac 7.9 Beta 1 is now available for download. You can get it here. Small improvements to the client. Empty lines are eliminated when copying and pasting. Spotlight search in macOS Mojave doesn't work. Text appears fuzzy on non retina displays. Please continue sending us your feedback. Enjoy! Can I ask quite simply- why were the copy/paste bugs not fixed before releasing again? I don't understand how you can say "please continue sending us your feedback" when it is patently ignored?? what exactly are the "small improvements" anyway? anything actually user-facing? This is disappointing after the CEO's post last month, I thought we were going to start seeing positive changes. The developers are on it, but it hasn't been fixed yet. It will be mentioned in the release notes when fixed. Ok, but- why release it then? It's almost like you want us to be disappointed. Why push out a beta if that is all there is? Sorry, @Nick L., I don't get why you would bother with even a Beta release that doesn't do much, and no details of the changes are provided. How can anyone test without knowing the changes??? And why would they bother, given all the issues that remain? Surely it cost time and effort to put out every release. Is this really a good use of Evernote resources? I saw in a screenshot of a prior beta release that there looked like a keyboard shortcut for setting a Reminder for a note was impending. ...but I don't see the keyboard shortcut. Is it present in 7.9 Beta 1? Thanks. That would be a marked improvement from it now missing from the toolbar in the Note Editor. Thanks, @DTLow. I hope they figure this out. It's a real productivity drain for my clients that make heavy use of Reminder notes (including me). I hope they figure this out. ﻿It's a real productivity drain for my clients that make heavy use of Reminder notes (including me). afaik There is nothing pending on this; nothing being "figured out"
For a productivity increase, I use scripting with FastScripts for keyboard shortcuts. So, was this screenshot from you displaying the Reminder keyboard shortcut from FastScripts, or was that from 7.6 Beta 3? Text appears fuzzy is still there?!?! Oh, come on guys you are making "small improvements" and for 2 months you are not fixing these issues?! Correct, the fuzzy text issue is still there and will be a lot more work to fix that we initially anticipated, but we're on it. This fix will not be included in 7.9 Beta 2, nor 7.9GA. Well, that's not the answer we wanted to hear, but I really appreciate you being candid and letting us know up front. is it included in the newest release? Btw, what's the minimum MacOS version for Evernote 7.9? I haven't loaded the latest but I think you may have answered your own question.